A company must file accounts within nine months of the end of its accounting period, or within 21 months of incorporation. 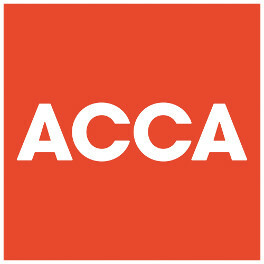 Accounts, prepared according to international accounting standards, summarise the performance and position of the company at the accounting date. Small companies, i.e. with a turnover of up to £6.5 million and balance sheet up to £3.26 million, may file abbreviated accounts, which do not include a detailed profit and loss account. Furthermore, most small companies do not require a statutory audit. 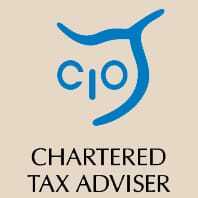 Regardless of its size, the directors must deliver a full set of accounts including income and expenditure to HMRC. Although private companies must keep accounting records for up to 3 years after the end of its accounting period for Companies House, the HMRC requirement is to keep records for up to six years. The first accounting period is on the anniversary of the end of the month following incorporation. Following periods are twelve monthly thereafter. It is possible to change the length of the accounting period before the filing deadline. A company may shorten an accounting date as often as it likes. However accounting dates may only be extended up to eighteen months and then only once every five years, except in certain circumstances. If the duration of an accounting period has been changed, the deadline of 9 months after the end of the period will shorten or lengthen accordingly. Where a company has not been trading, it can be beneficial to change the accounting period to the end of the dormant period, so that simpler dormant company accounts can be filed. A company still has to file accounts even if it has not traded in the period. However it is permitted to file dormant company accounts, which are considerably simpler. A dormant company is not required to be audited. The filing deadline for dormant company accounts are the same, i.e. 9 months after the end of the accounting period. The amount of penalties depends on the length of time after the filing deadline that the accounts are submitted. Where the accounts are more than a day late, a penalty of £150 is levied, this increases to £375 once over a month late, £750 once over three months late and £1,500 once six months late or more. There is no legal requirement to use an accountant to prepare accounts. However, a qualified and experienced firm can help to make sure your company is complying with regulations and can save time as a result. At Coman & Co, we have extensive experience preparing accounts for private companies. Supported by the latest software, we can prepare accounts fully compliant with Companies House requirements. Please contact us for an initial consultation.